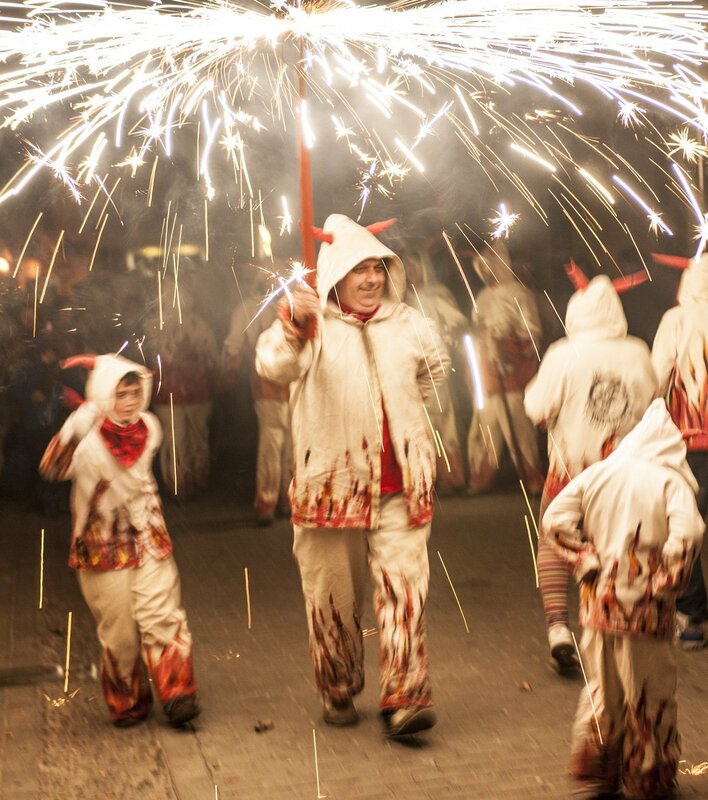 One of Mallorca’s most celebrated fiestas is that of Sant Antoni , a two-day festival, which begins each year on the eve of the Feast of St Anthony, 16 January. Sant Antoni is the patron saint of animals. He was in fact an Egyptian Christian monk who, the story goes, was visited by the Devil, in the guise of a woman whilst living in the desert. Keen to avoid temptation he walked across the burning embers of a fire by way of a distraction and therein was born the tradition of fire and devils on the eve of the 16th January. 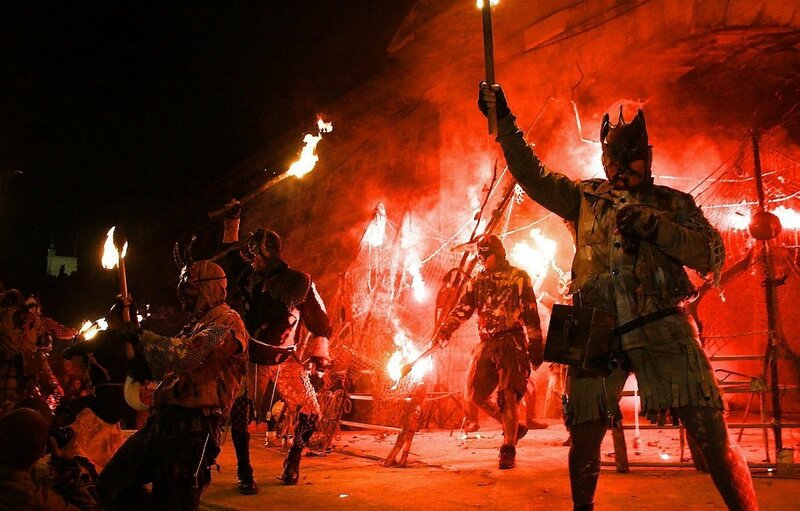 Great bonfires are lit across the island and crowds dance around them taking part in the ancient ritual of purification and the triumph of good over evil. 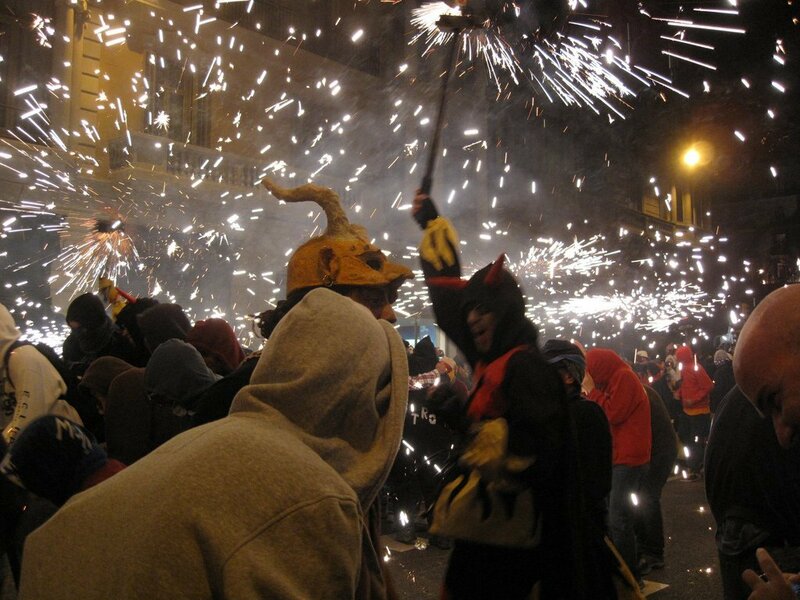 Once huge bonfires are lit, `Dimonis´ (demons) , dressed in masks, carrying flaming torches and letting off fire crackers charge through the crowds. A traditional song “Lo Elogi” is repeatedly sung accompanied by “ximbombades,” local musicians playing Mallorcan friction-drums. 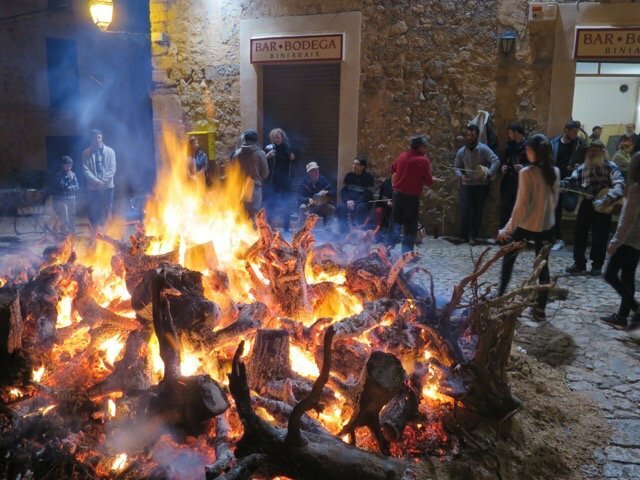 When all the crackers have been blasted and the bonfires have subsided a little, the festival goers use the embers to grill meat and sausages (often sobrassada and butifarron) all of course washed down with some local wine. Families and groups of friends gather together for these `torradas´(Mallorcan barbeques) which are great fun and last to the early hours. Day two of the festival, 17 January is all about the animals. Across the island locals come together to have their animals blessed. 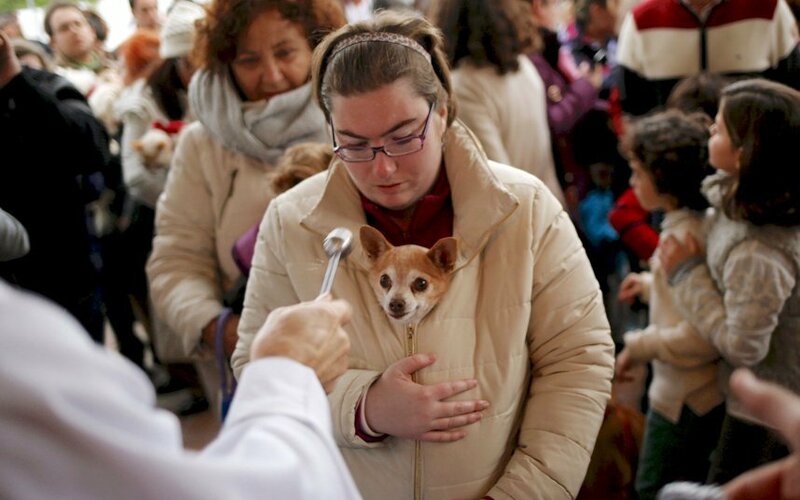 After Mass in honour of the saint, the ‘Beneïdes’ (Blessing) of animals takes place outside the church in each of the island´s towns and villages where all manner of domestic animals from dogs, pigs and chickens, to canaries and horses will be blessed by the priest. January is a special time to travel to Mallorca, offering a better climate than other Northern European countries and, with longer daylight hours and temperatures averaging around 20 degrees, the short dark days of home seem a world away. Why not book yourself a luxury winter escape ? Click here to find out about our deals. Images kindly provided by Javier Rodriguez.